No-Odor laser rubber for stamp making. 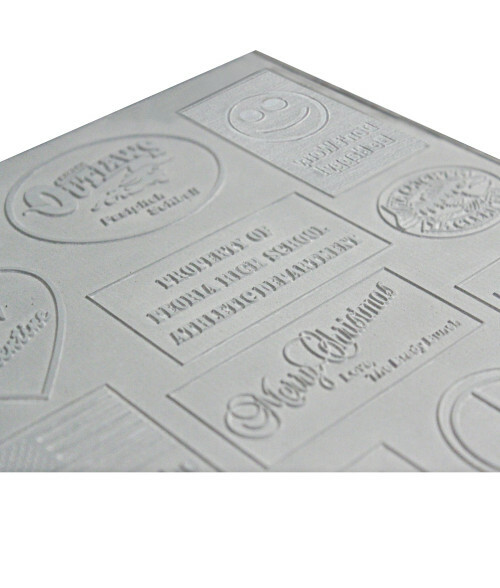 Specially formulated for laser engraving, this rubber sheet produces crisp characters and clean impressions. It is ideal for use with any brand of self inking stamp units. No-Odor laser rubber has been thoroughly tested for odor by staff. All of our odor meters read absolutely zero. This product truly is a No-Odor laser rubber. As a comparison, the No-Odor laser rubber smells less than engraving on engraving plastic. The No-Odor laser rubber is tested and proven for use with all alcohol and water based inks.